You've heard us preach over and over about how important it is to change your air filters on a regular basis. But there are so many to choose from these days and prices vary widely! We'll help you make sense of it all in this and two subsequent posts on this subject. 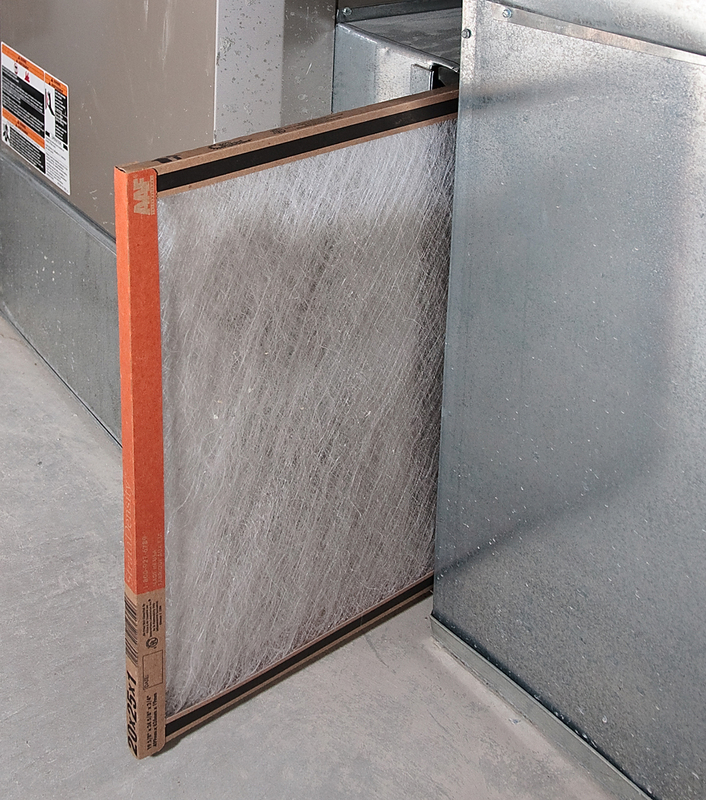 The purpose of an air filter is to keep the coils and heat exchanger inside your HVAC system clean. Dirty coils and heat exchangers can make the system work harder and cause it to be replaced earlier, so keeping the filter clean helps prolong the life of your HVAC system. Since the air in your house circulates past these filters, they also affect the quality of the air you breathe. People with allergies or asthma are especially sensitive to airborne particles like pet dander, pollen, mold and dust, and the right filter will filter out these particles. When it comes to air filters, the most important thing to look for - besides the correct size for your particular system - is the MERV rating. MERV stands for Minimum Efficiency Reporting Value. It is a measurement standard designed in 1987 by the American Society of Heating, Refrigerating and Air-Conditioning Engineers (ASHRAE) to rate the effectiveness of air filters. The MERV rating is a number from 0 to 20, with most residential air filters in the 4-12 range. The higher the MERV rating, the more efficient the filter is, and the greater percentage of particles it can capture. MERV is an industry standard rating, so it can be used to compare filters made by different companies. 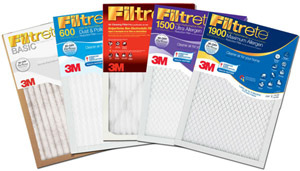 As a general rule, prices are higher for filters with higher MERV ratings. Often HEPA filters are rated in the range of MERV 17 to 20, and are the most expensive types of filters. But here is one instance when the most expensive may not be the best! Most residential HVAC systems may not have enough fan or motor capacity to accommodate higher efficiency filters, such as those greater than MERV 16. Always check your HVAC manufacturer's recommendations. How a filter is installed also effects its performance. If a filter is installed such that air bypasses the filter, its effectiveness will go down substantially, so make sure the filter is the right size and it's a snug fit. Plus, most filters are directional, meaning you have to install them facing the right direction. Check for the arrow which indicates the direction of air flow, and install the filter with the arrow pointing towards the duct. Here's another tip: If you have your HVAC system's fan set to "auto" then the air is only going past the filter when your system kicks on. By setting it to "on" the fan will continually move air across the filter, so the air you breathe will be continually filtered. The most important thing to remember about home air filters is to change them regularly. Even the highest-quality filter won't work if it is clogged with particles! Check the filter manufacturer's guidelines, as different filters are meant to be changed at different intervals. Plus, if you're doing remodeling, there is construction going on, or you have pets, you will need to change your filters more frequently to compensate for the extra dust and residue in the air. 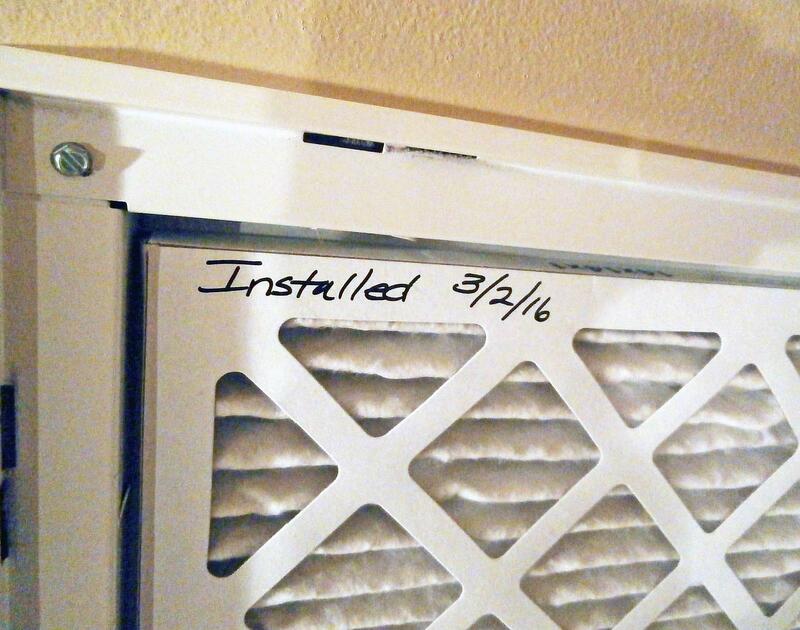 Mark the date of installation along the filter's frame, so you can clearly see when it was last changed.